Looking for private in-home or in-studio Music Performance lessons? Our Huntington teachers are ready to get you started. Find your teacher today! I revel in teaching all styles & levels and revel even more in making the universal connections that tie across all musical genre and levels. in the same pathways and it gives me great satisfaction to expose my students to this connections. Dan, a multi faceted musician, composer and educator active in the tri-state area since 1994. Dan's eclectic education, upbringing and fields of interest render him one of the unique voices in the dynamic field of current music education. In an era where old boundaries are breaking and a growing musician needs to have expanded horizons, Dan stands out in the crowd. Born and raised in Jerusalem, Dan received his musical education from the Rubin music academy in Jerusalem and the Manhattan School of music in NYC where he completed a Masters degree in classical composition and Jazz performance. Dan's playing and compositions were performed nationally and internationally, reviewed by the New York Times, The St Louis Post Dispatch and other publications. Manhattan school of music pre college division (where he has been a faculty member since 1994) and piano, theory and composition at the JCC on the Palisades Thurnauer school of music,where he also served as theory department chair from 1999 - 2005. The newest addition to Dan's expending circle is The Red Bank Regional High School for the performing arts where he has a been a guest lecturer since fall of 2011. Dan has been giving private lessons of music and music related subjects for over 20 years. The paramount importance of developing sound traditional skills and the strong conviction that you should always tailor the method to the student and never tailor the student to the method. Piano - contemporary / jazz / Broadway. Music theory, General theory, Jazz and popular music theory, a special AP music theory preparation workshop. I am a strong believer in combining traditional skills and sensibilities with a strong affinity to today's musical and pop culture, While I am an extremely patient teacher, I do expect (and achieve) results. If a student starts with me from scratch they should be able to play real piano tunes within 6 months. Classical, Jazz, Pop, Broadway, composition, song writing, music for film, production, music history, theory, ear training, AP preparation. On the first lesson with Dan as an intermediate/advance level student, I have certain expectations of the kind of guidance I need to improve my playing (even if I usually play for my own personal pleasure). Dan was able to pinpoint some areas that I could improve which were very helpful. Looking forward to having more lessons with him. I really enjoy learning how to play the piano with Dan, he's very patient and explains the step clearly. Just need lots of practice! The Best. Right with me where I am in playing piano and understanding technique, theory etc. Spurring me on to more music making. Take your artistic knowledge and learn how to put it on the stage or behind the camera. Learn simple techniques related to on-stage personality, presence, honesty, and vulnerability. Hi! Here's a little about myself. I am a Professional Music show Performer for 25 yrs. I worked as a singer & Entertainer. I've studied Music at Suny, New School. Also studied with Professor Dave Franks of Berkeley College and School Jazz for 9 yrs, all Levels and all ages. You will learn how to read and write, sight read if you're a singer, all basic teachings hand exercise and more. Michael is a very good teacher who I would recommend to people of all ages. Michael is very knowledgeable in the art of music. He is very patient & willing to teach to his lessons until you have very good understanding of the lessons he teaches. ream and think BIG. I have such respect for Ms. Christine and her love for music, that I tell everyone I meet, to take lessons with Ms. Christine. If you truly want a teacher who cares about you and your musical dreams, then you NEED to take lessons with Ms. Christine. She has taught me and my Day Care children so much about music education, I will forever be grateful to her talents. Thanks you so much Ms. Christine! For anyone reading this review.....all I can say is BOOK NOW!!!!" "Cory is helpful and encouraging, and incredibly knowledgeable in his line of work." New York, NY teacher: Cory H.
aware of a variety of approaches to teaching music, and is constantly broadening her musical talents. She has worked to create interdisciplinary experiences as well, by integrating song, instrumentals, and dance with literature, through performances for the school. She enjoys children and brings wonderful excitement to their music experience. 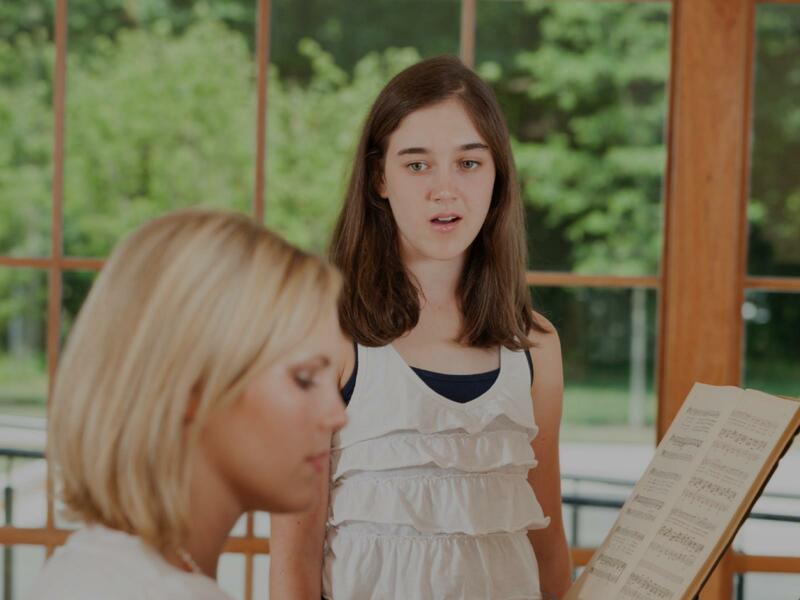 She creates relevant lesson plans and incorporates movement and other modalities into her music lessons. If you walk into a music lesson, students are moving and making music! They are engaged! I highly recommend Ms. Christine." "Eric is and outstanding hard working musician with many talents to share and looking forward to working with him & his band and learning more about Bass." t and she did fabulously and projected for all to hear and she couldn’t have done it without your teaching!" New York, NY teacher: Melissa M.
experience doing so. I highly recommend taking lessons from Jeffery, it is a wonderful experience." New York, NY teacher: Jeffery M.
found that only a good musician who knows how to pass that knowledge on can effectively teach it. Dr. M. is that teacher!" elped enormously with my saxophone playing, clarinet playing, and improvising. Since my saxophone playing is already fairly advanced. In our lessons on saxophone focus heavily on advanced jazz improvisation topics, like standard tunes, and transcription. He is so knowledgeable on these advanced topics but is really great at showing me the basics so that I can learn at my own level and pace. On clarinet Bill and I work on more classical studies and instrument technique to get my clarinet playing more on track. Bill is such a patient and motivating teacher. It is clear that he cares deeply about MY SUCCESS in music. He has helped me feel good about my musical progress and inspired me to work harder! He has even given me lots of great music business advice, and helped me think about what I want out of music in my life. Bill is so easy to get along with and is really careful to explain things in a way that I can understand them. Its been really awesome getting to know and work with him!" New York, NY teacher: Bill T.